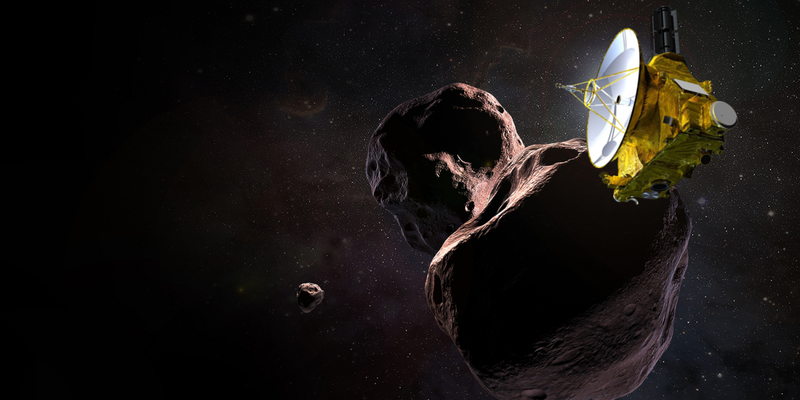 NASA’s New Horizons team successfully completed a simulation of the spacecraft’s upcoming flyby of Kuiper Belt Object (KBO) Ultima Thule that included “data” based on actual observations and projections regarding the target object. Conducted over the course of three days from September 6-8, the trial run was the last of more than 20 such simulations. Known as operational readiness tests or ORTs, these are conducted to test out the most critical parts of the flyby, such as its navigation, operation of the spacecraft and checking out New Horizon’s seven science instruments. The latter of these checkouts is critical when it comes to the search for rings, moons, and other potential hazards to the probe. More than 50 scientists took part in the simulation in anticipation of the December 31-January 1 flyby of Ultima Thule, also known as 2014 MU69. Similar rehearsals were conducted prior to New Horizons‘ July 2015 Pluto flyby. During these simulations, mission scientists work in the actual office that they will use during the flyby and utilize the same software tools that are planned to be employed for the real thing. They “downloaded” mockups of image and composition “data,” which was then analyzed and “announced” to the public via media briefings and press releases. In the weeks prior to this final rehearsal, scientists drew on actual data about Ultima Thule to create a fictional dataset in which the KBO is actually several objects surrounded by a think ring. Data from several stellar occultations in 2017 and 2018 indicate Ultima Thule may be a binary system in which two objects closely orbit one another and may actually be touching one another. Occultation data also suggested that the KBO might have a moon. “This was our science team’s final exam, and they passed it with flying colors–meaning we’re ready for the Ultima flyby coming almost exactly 100 days from now,” mission principal investigator Alan Stern said. Located approximately one billion miles beyond Pluto, Ultima Thule is set to be the farthest object ever explored by a spacecraft. Much smaller than Pluto and not large enough to be spherical, the KBO is composed of pristine materials dating back to the formation of our solar system.